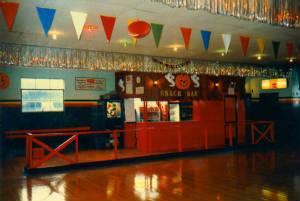 Skateland in Buckhannon, WV has been entertaining skaters of all ages since 1950. A family owned and operated business, Skateland has catered to families, church organizations, schools, and various other groups throughout the years. On this site you'll find out about our activities and facilities, along with information about our schedule and how you can reserve the rink for private parties. Celebrating Roller Skating since 1950!